Tammy Maltby... speaker, author and media personality with a heart for helping women live rich, authentic lives! Tammy Maltby is a speaker, author and media personality with a heart for helping women live rich, authentic lives. Tammy empowers others to start simply but simply start! A ten-year cohost of the two time Emmy-winning NRB-TV talk show of the year Aspiring Women, Tammy has been featured on hundreds of radio and television programs. Her team is one of the fastest growing teams in Network Marketing. She has built solid teams on a three pillar foundation: excellent product, superb compensation plan and a vibrant lifegiving community. 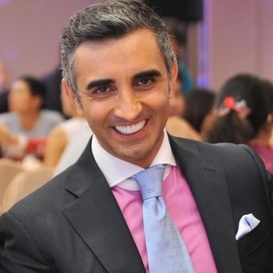 Kosta Gara is a highly respected international networker and corporate executive.